The lazy, hazy days of summer are finally here. When it gets hot, and I mean really hot, ambition goes to the wind with the warm summer breeze and we usher in a new routine: the afternoon siesta. My favourite place for an afternoon summer siesta is my hammock. I love looking up at the leafy trees and down at the shimmering lake while the hot breeze ruffles the trees. When the kids were young, we’d spend time in the hammock every day, singing silly songs, talking or simply swaying side to side to the chirping of the birds. Today, we associate hammocks with leisure and sadly, laziness. But the benefits of rest and sleeping in a hammock are well known. I remember watching a documentary about aboriginal cultures and how they use hammocks as cradles for infants. There are many studies that support the benefits of sleeping in a hammock and how the swinging motion synchronizes brain waves, allowing people to doze off faster and attain a deeper state of sleep. 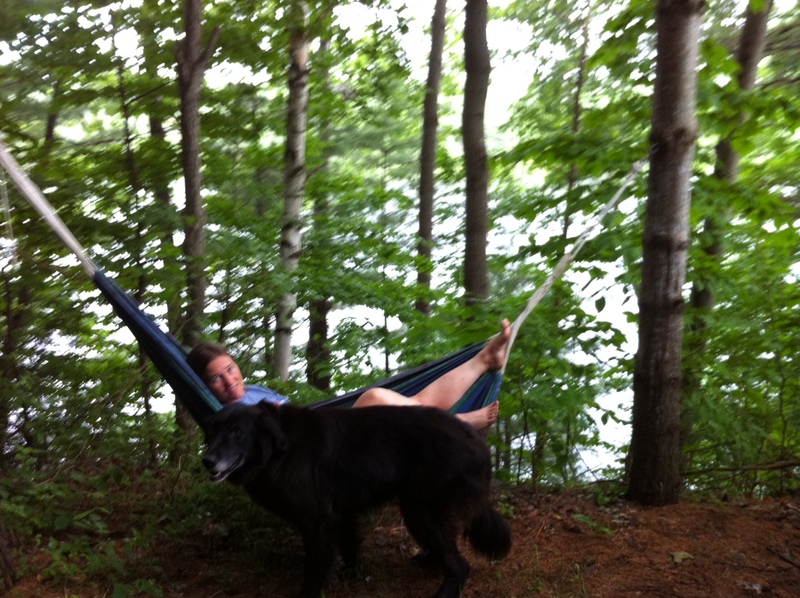 I don’t need a study to tell me that there is no better way to while away a hot summer afternoon than in my hammock. It’s decadence at its finest and pure bliss. This week’s #HappyAct is to go for a swing. Don’t feel guilty about lazing away an hour or two. You deserve it. And if you don’t have a hammock or two sturdy trees to put one up, a swing or rocking chair will do. I don’t have a hammock but I am going to laze about on my lounger this week. Good idea!